History's first national party with roots in a mass electorate, the Jacksonian Democrats were not so much unified around a shared policy program as they were a patchwork of conflicting interests. They came together most vigorously in the name of what they opposed: the emerging financial and commercial monopolies, the old Washington dynasty, and any whiff of privilege or aristocracy. Yet they demonstrated how even unprincipled national parties could invigorate representative democracy and repair the growing rifts between Northern industrialists, the Old South, and the developing West. 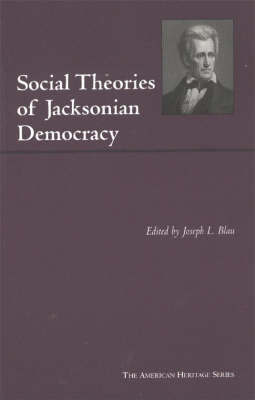 These texts show the Jacksonian movement as a cross-section of nineteenth century America. A picture of popular democracy in its infancy, they together form a study of unity in diversity.